Began in 1985 with a vision in mind to introduce innovations, raise the bar and create trends for others to follow. Boss extensive network of service providers reaches the furthest corners of the country. We have extensive presence in retail outlets, that are supported by an extensive distribution network. Don’t like toast made from day old bread? This is a great way to make something different from the old bread instead off the same sandwiches and toast. It’s a great quick breakfast recipe for a windy monsoon morning. 10 Tiffin Recipes You Need To Know! Moong Dal is rich in protiens and very healthy. On the occasion of Paryushan, we present you yummy Moong Dal pudlas. Tastes best when served hot with coconut chutney! This 3 in 1 dish is a typical Rajasthani treat. A platter of semi-sweet Churma, spicy Dal and deep-fried Baati, is one such traditional combination. Try this recipe with a little innovation for the occasion of Paryushan. It’s Ganesh Chaturthi! Time to make umpteen varieties of Modak for our favorite Ganesha. Here is the Modak recipe of rice flour shells filled with a succulent mixture of jaggery and coconut. Pesto is an italian sauce featuring a combination of walnuts, pine nuts, basil leaves and olive oil. In this pesto penne we combine the aromatic flavor of herbs, colorful veggies and penne. This weekend give your kids a colorful treat of this Pesto Penne! "Great price, efficiency in working, it is truly the market leader in this segment. " "Easy to use and handle. Very Good Products. 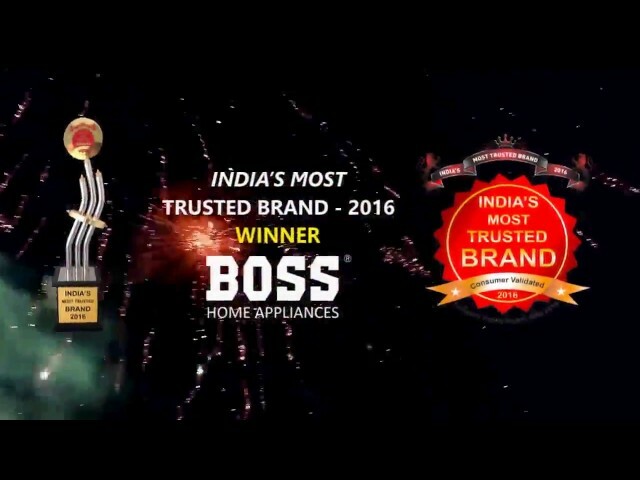 Best Brand for buying Home Applinaces. " "The look of the products are as good as the functioning of the products are. Attractive and well packed. Working very well, highly recommendated products "
"Value for money. Cost efficient with excellent quality home appliances products and services. " Copyright © 2017 Boss. All rights reserved.